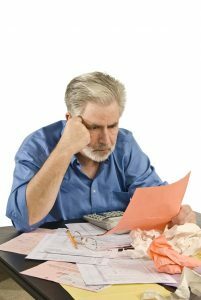 If you have fallen behind on your payments and are struggling to pay your bills, you may have tried other alternatives to get back on track. If you tried speaking to bill collectors and making arrangements only to fall back behind again because either they were inflexible or you are overwhelmed in debt in other areas of your finances as well, you may want to consider talking to a Citrus Heights bankruptcy lawyer to find out if you can eliminate your debt instead of trying to play catch up. If you were enrolled in a debt management plan through a credit counseling service and for one reason or another are unable to comply with and finish the plan then you are just like 80% of other enrollees who could not finish. Plus, if you miss a payment, your creditors can start legal action against you no matter how much you already paid during the plan. These DMPs are usually more for the benefit of the credit card companies than for the consumer. Debt settlement plans can sometimes get you a lower rate of payoff for your debt. Even though you may be paying on an agreed upon amount to settle a debt, the creditors can get impatient and file a lawsuit against you to try to obtain all of the amount due. The creditors may decide a lawsuit is cheaper than the amount being paid through a settlement plan. Maybe you tried a debt consolidation loan to lump all or some of your debt into one payment. If the finance charges of the loan are a better rate than you are currently paying, this can be a good strategy. Unfortunately, the reason you got behind in the first place was too much debt and adding another bill may put you back in worse shape than before you got the loan. If you got a home loan and turned your unsecured credit card debt into secured debt attached to your house, you could be at risk of losing your home if you fall too far behind. If any of these strategies are familiar to you, and you are still no better off than before you tried to negotiate, you may want to talk to a Citrus Heights bankruptcy lawyer. By filing bankruptcy, you can eliminate your unsecured debt and depending on the type of bankruptcy you file, you could save your house and your car by making court approved payments. At the end of your bankruptcy, any remaining debt is eliminated, and you will get a fresh financial start.